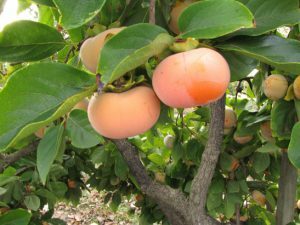 Growing fruit trees in North Central Florida can be a challenge, but with the right information the task is certainly achievable. The first step recommended is to contact the UF/IFAS Marion County Extension office, which will be able to provide essential information on every aspect of producing your own fruit crops successfully. This first step is especially encouraged if you have no prior experience growing fruit trees in this region of Florida. Most of the long-term problems begin in the planning and planting phase of fruit tree production. The second step is to determine your budget. This applies to both time and money available. Never purchase more than you can afford. It is important to understand that to grow the amount of fruit you want it will take some time and effort. The third step is to select a suitable site on cleared land that receives a minimum of 6 hours of direct sunlight. Once you know the site you intend on planting your fruit trees on, it is highly recommended to take a soil sample of the land you expect to use. You can have the soil analyzed for a wide variety of crops you are interested in planting. Use the soil sample results and soil profile to help determine which crops are most suited for that soil. What is the soil profile? Sandy? Loamy? Clay? Well drained? The fourth step is to choose a fruit crop that is most adapted to your environment and select a University of Florida recommended variety. Once a crop is selected follow the recommendations from your soil sample results by adding the appropriate amount of soil amendments, such as fertilizers, and to adjust the pH if needed. When and how to plant will vary depending upon which fruit tree is selected. The fifth step is to acquire seeds or plants from reputable vendors and select the highest quality fruit trees possible from nurseries. Generally, it is recommended to plant trees that came from a nursery rather than from a seed if you want the highest chance for success. The sixth step is to plant your fruit tree based upon the recommended tree spacing, to the correct depth, and with the appropriate soil amendments. This step is one of the most important steps to carefully follow recommendations based upon that fruit tree needs. The seventh step is to water your fruit trees every day for the first two weeks after planting, then every other day for another five or so weeks. After that, water as needed depending upon time of year and weather conditions.